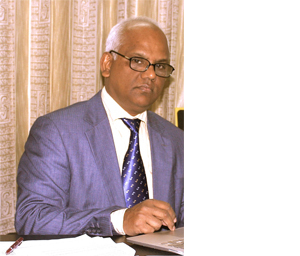 Professor Dr AKM Fazlur Rahman is the Executive Director at the Centre for Injury Prevention, Health Development and Research, Bangladesh (CIPRB). Before joining the present post, he worked in the department of Epidemiology and Biostatistics, Institute of Child and Mother Health, Dhaka, Bangladesh in the capacity of Associate Professor. He has been working in the field of Public Health for more than Twenty five years. He completed his PhD from the department of Public Health Sciences, Karolinska University, Stockholm, Sweden in 2000. He developed injury surveillance methods for low income countries. Dr Fazlur was one of the principal investigators of Bangladesh Health and Injury Survey, 2003. He also conducted research called PRECISE on child injury prevention in Bangladesh- a noteworthy research work in developing countries. He has published more than 80 scientific articles on public health issues including injury prevention in various peer reviewed journals. He has presented a number of papers as key note speaker in several conferences related to injury prevention and safety promotion. He is also one of the editors of WHO-UNICEF Child Injury Report. Dr. Aminur Rahman is a renowned child drowning prevention expert nationally and internationally. Currently he has beenworking as Director, International Drowning Research Centre-Bangladesh which is part of the Centre for Injury Prevention, Health Development and Research, Bangladesh (CIPRB). 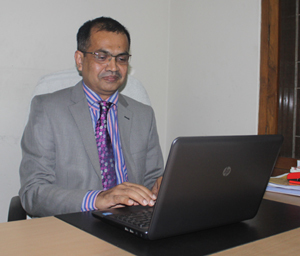 Before joining CIPRB he worked as Assistant Professor in the Institute of Child and Mother Health (ICMH) Dhaka. After graduating in medicine (MBBS) from Dhaka University in 1986, Dr. Rahman completed his Diploma in Community Medicine (DCM) in 1991 from Dhaka University. He completed Masters in Medical Education (M.Med.) in 1997 from Dundee University, UK. In 2010 he completed his PhD from Public Health Science Department of Karolinska Institutet, Sweden. 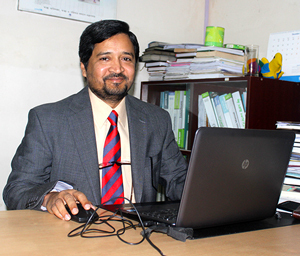 He has developed and implemented childhood drowning prevention program for rural Bangladesh as his PhD work. Dr. Rahman was the co-principal investigator of the ground breaking research “Bangladesh Health and Injury Survey” which identified that drowning is the leading killer of children under 18 after infancy. He was also the co-principal investigator of the largest community based quasi-experimental study “PRESICE: Prevention of Child Injuries through Social-intervention and Education”. At the moment he is engaged in various child drowning prevention research activities. He has published more than 35 articles in peer reviewed journals. He co-authored “World Report on Child Injury Prevention” and “Handbook on Drowning”. 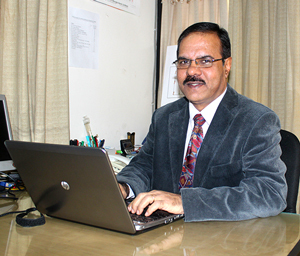 He is also a reviewer of number of reputed peer reviewed journals. Dr. Rahman is a member of the Drowning Research Committee of the International Life Saving Federation (ILS). Dr. Saidur Rahman Mashreky is working as the Director of the Public Health and Injury Prevention department at the Centre for Injury Prevention, Health Development and Research, Bangladesh (CIPRB). Before joining CIPRB he worked for Centre for Medical Education Dhaka. After graduating in medicine (MBBS) from Rajshahi University, Dr. Mashreky completed his Masters in Public Health (MPH) from Dhaka University. In 1998 he completed his post graduate diploma in Medical Education (Dip.Med.) from Dundee University, UK. Dr. Mashreky completed his PhD. from Public Health Science department of Karolinska Institutet, Sweden in 2010. Burn prevention, especially childhood burn prevention is the special area of his interest. Child health, child development, and medical education along with injury prevention are the other areas of his interest. He has developed and implemented childhood burn prevention program in rural Bangladesh. Dr Mashreky has more than 40 publications in peer reviewed journals. He is currently a reviewer and editorial board member of a number of reputed peer reviewed journals. Prof. Dr. M. A. Halim is an obstetrician and Gynaecologist with expertise in Public health and research. He worked over twenty five years in academic, clinical, research and program field of reproductive health and contributed in the development of policy, strategy and program. After graduation (MBBS) in 1982, Bangladesh, Dr. Halim completed his MS (Obs-Gyn) and FCPS (Obs-Gyn) in Bangladesh. He also obtained MPH degree from Karolinska Institutet, Sweden and PhD from Hamamatsu University, School of Medicine, Japan. Dr Halim served in various clinical and academic posts under the Ministry of Health and Family Welfare of Government of Bangladesh. He also worked in WHO Bangladesh in Making Pregnancy Safer program from 2002 to 2006. Currently he is holding the post of the Director of the Reproductive and Child Health division of CIPRB since 2009. His contribution in the two recent projects namely ‘Maternal and Perinatal Death Review in four MNHI districts of Bangladesh 2010-2012’ and development and implementation of ‘Quality Improvement in Maternal and Neonatal Health in Facilities of Bangladesh (2012-2014)’ is note worthy. Dr. Salim Mahmud Chowdhury is working as the Director of the Training and Education Department at the Centre for Injury Prevention, Health Development and Research, Bangladesh (CIPRB). Dr Chowdhury is an experienced public health researcher and programme manager with outstanding educational and research records throughout. After graduating in medicine (MBBS) from Dhaka Medical College, Dr. Chowdhury completed his Masters in Public Health (MPH) from Karolinska Institutet. He also completed post graduate diploma in Health District Management from Swiss Tropical Institute, Basel, Switzerland. Dr Chowdhury is a PhD fellow at the Division of Social Medicine, Department of Public Health Sciences, Karolinska Institutet, Sweden and will defend his PhD thesis in March 2015. Prevention of violence and injury especially road traffic injuries is the special area of his interest. Maternal and child health, environmental health including climate change, social determinants of health and disability prevention and rehabilitation are the other areas of his interest. He has developed falls prevention programme for rural Bangladeshi children considering low-income country context. Dr Chowdhury is one of the founding members of the Centre for Injury Prevention, Health Development and Research, Bangladesh (CIPRB). During his over 18 years career as a Public Health Professional, he worked as scientist, program manager, trainer, administrator as well as human rights activist in different geographical locations (Asia and Africa) with many national and internal organizations including United Nations Agencies. Dr Chowdhury worked with the World Health Organization at regional level (South-East Asia Region) as technical expert in the field of disability, injury prevention and rehabilitation and coordinated regional level activities in publishing Global Status Report on Road Safety and Global Status Report on Violence Prevention. He also worked with the WHO Country Office, Kenya as the Programme Focal Point for Violence and Injury Prevention. Dr. Chowdhury was directly involved with the ground breaking research “Bangladesh Health and Injury Survey” as a researcher which identified injuries as the leading killer of children under 18 after infancy. He was also the co-principal investigator of the largest community based quasi-experimental study “PRESICE: Prevention of Child Injuries through Social-intervention and Education”. He was one of the expert group members (injury cluster) of the Global Burden of Disease Study 2010. 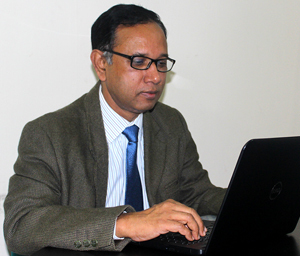 Dr Chowdhury has published number of research papers in peer reviewed journals. He has provided technical support in drafting numbers of regional strategic documents and technical papers including violence and injury prevention curriculum for under graduate medical student and nurses.